Working with Flanders Investment and Trade, Antwerp Port Authority is putting the Churchill Industrial Zone out to tender. This location is on the right bank of the Port of Antwerp, the second-largest port in Europe. The port is home to the largest chemicals cluster in Europe and boasts 610 hectares of covered warehousing for logistics and value-added activities. The Port of Antwerp is located in the heart of Europe, 80km inland from the North Sea. It is 40km from Brussels, the decision-making capital of the European Union. The Port of Antwerp handles 190 million tonnes of maritime freight per year and offers regular liner, short sea and feeder services to 1,400 ports worldwide. It is also one of the busiest rail and inland waterway hubs in Europe, handling 24 million tonnes of rail freight and 94 million tonnes of barge freight per year. Situated on 96 hectares of land, the 88-hectare Churchill Industrial Zone is a unique investment opportunity. The zone has multimodal access: it is next to the port’s Churchill Dock and is well connected by road and rail. Nearby are the port’s many value-added logistics services, offering significant economies of scale. As an integral part of the port, the Churchill Industrial Zone offers fast access to key European centres of production, such as the Ruhr district of Germany. Additionally, it provides access to Europe’s main centres of consumption, including Belgium, the Netherlands, France and the United Kingdom. 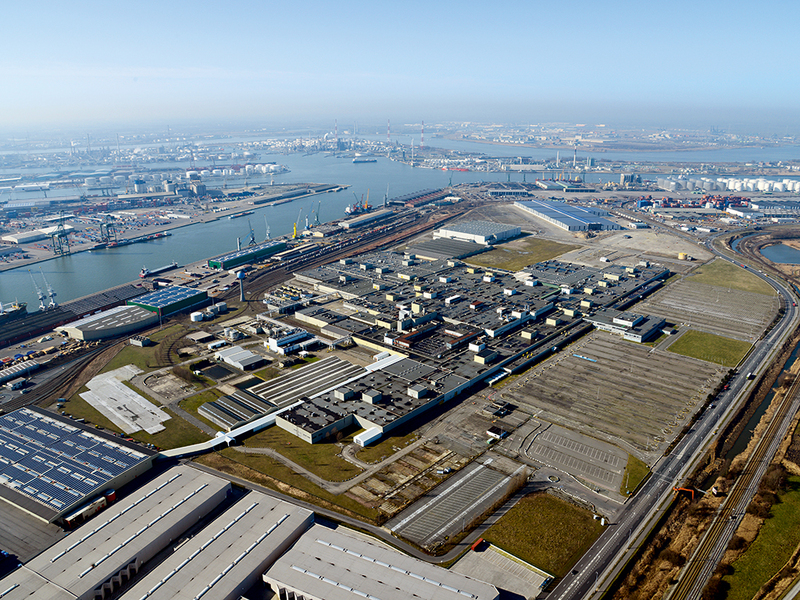 Antwerp Port Authority is offering the entire Churchill Industrial Zone for industrial activities. All interested companies should submit applications by January 15 2015. When considering applications, Antwerp Port Authority will evaluate each candidate’s proposals in areas such as added value, employment, technological innovation, cluster reinforcement and spatial productivity. Both the Flemish and Belgian governments offer incentives for companies with operations in Flanders, including tax benefits for employment, training, and research and development. The Flemish government is also ready to support any initiative that gives a new future to the Churchill Industrial Zone. Antwerp Port Authority and Flanders Investment and Trade operate a one-stop-shop to assist and support investors. This will provide answers and information on issues such as the investment climate, taxes and tax exemptions, starting a company, and creating partnerships with other companies. Antwerp attracts a quarter of all foreign investment into Belgium, underlining the economic strength of the region. Much of this investment is in the industrial and logistics sectors in and around the Port of Antwerp. For example, ExxonMobil recently announced an investment of more than €1bn in its plant at the port. The port has 610 hectares of covered storage, giving it more storage space than all other north-western European ports combined. Flanders has the densest network of motorways and roads in Europe. It also has large rail and waterway networks, providing direct, high-capacity access to the European hinterland. Flanders is also known for its highly educated, multilingual, flexible and productive workforce. With such extensive and efficient transport links, it is no coincidence that Belgium is home to the highest concentration of distribution centres in Europe. More broadly, Belgium has a stable, market-oriented and open economy. This comes from the country’s central geographical position in Europe and its history of international trade. To ensure the Port of Antwerp grows strongly and sustainably, Antwerp Port Authority has a leading role in initiating and attracting investor interest in new developments. In addition to the Churchill Industrial Zone, over the next few years 1,000 hectares will be offered in the Saeftinghe Development Area on the left bank of the River Scheldt for logistics, maritime and industrial operations. Other planned projects include the Schijns and Waasland Logistics Parks.